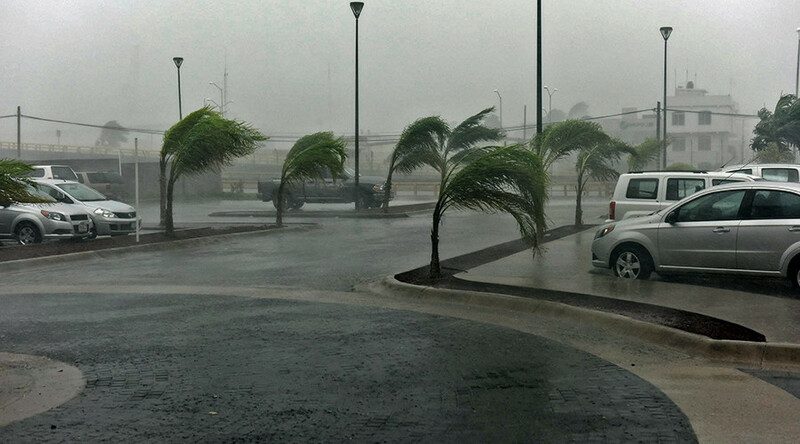 With winds blowing at a record-breaking 322 km/h, ‘enough to get a plane in the air and keep it flying’ Hurricane Patricia has unleashed its destructive force on Mexico. Despite the raging storm, social media users were not going to put their gadgets aside. The true strength of the Category 5 hurricane – the highest possible rating - can be seen in videos posted from where the tropical storm made landfall, as it caused trees to bend and resulted in severe flash flooding. An estimated 350 trees have been ripped out of the ground in just one of the Mexican states. What should have been a nice relaxing beach holiday on the Pacific coast, turned in to a race against time to find safety, as around 15,000 tourists were hastily evacuated from the resorts. Streets now resemble rivers, rather than roads and things could get worse. Several Mexican states are expected to get almost half their annual rainfall in the next couple of days. "It sparked chaos here, it ruined a lot of things, took down the roof, lots of trees. Things are in a bad state where we work," Domingo Hernandez, a hotel worker in the resort of Barra de Navidad told Reuters. An apocalyptic image of the sky above Guadalajara, a popular tourist destination, shows how ominous the advance of the hurricane looked. Before the hurricane made its spectacular touchdown in Mexico, it had been predicted it could trigger 12-meter (40-foot) waves. Luckily for the residents of western Mexico, Hurricane Patricia lost a significant amount of power several hours after making landfall. By early Sunday, it had been downgraded to a Category 2 storm, with winds up to 160 km/h. It was then downgraded further to tropical depression, as its maximum wind speed fell to less than 63 km/h. While the images of the hurricane may look the world is coming to an end on the ground, pictures taken from space show an impressive mass of swirling white clouds. Astronaut Scott Kelly, who is on board the International Space Station, posted them on Twitter.